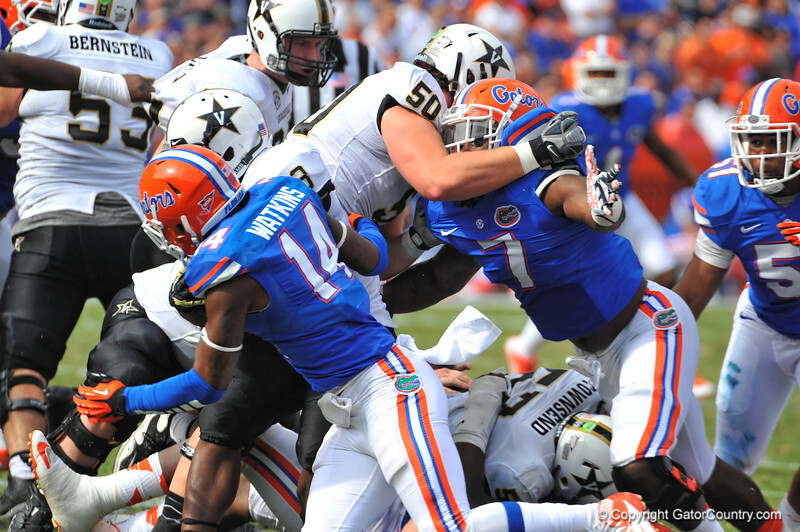 Florida Gator LB Ronald Powell is close-lined by Vanderbilt OL Andrew Jelks. Florida Gators vs Vanderbilt Commodores. Gainesville, FL. November 9, 2013.